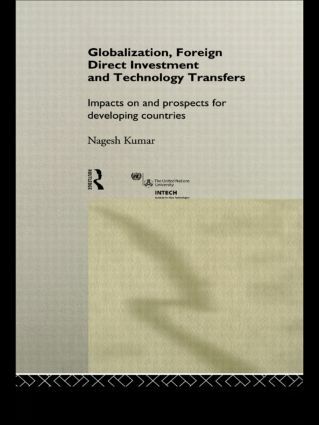 In this book, Nagesh Kumar and expert contributors examine and explain the emerging patterns in international technology transfers and foreign direct investment flows (FDIs) over the past two decades. They analyse the trends in internationalization of corporate activity in individual source countries, discussing outflows from both major and emerging source countries. This departs from the existing treatments of FDI as homogenous resource and allows for a more detailed prediction of future outflow patterns. Throughout, the research focuses upon the implications of new trends for developing countries. Kumar concludes by outlining the policy implications for the governments of such countries seeking to mobilize technology and FDI for their industrialization and further integration into the international community. Controversially, he cautions against excessive optimism about the potential of FDI inflows as an agent of development. This book draws together much data and information which is not readily available and provides reflections upon international business negotiations from a developing country's perspective.